Come help Keep Mandeville Beautiful (KMB) by volunteering in the Citywide Cleanup to be held on Saturday, April 8, 2017 from 9 AM till 12 PM! Keep Mandeville Beautiful was founded in the late 1990’s to preserve and promote Mandeville’s natural beauty and cleanliness. Now KMB needs your assistance in helping clean up unsightly graffiti, litter and unkempt streets and roads. The first 200 volunteers will receive a free T-shirt, so register early. You may preregister now before March 31 by emailing kmb@cityofmandeville.com. All organizations, including business groups, church groups, civic groups and others are encouraged to help in the cleanup. In addition, all age groups are invited to volunteer, and if you are a student, you can apply these 3 hours to your total community service hours. 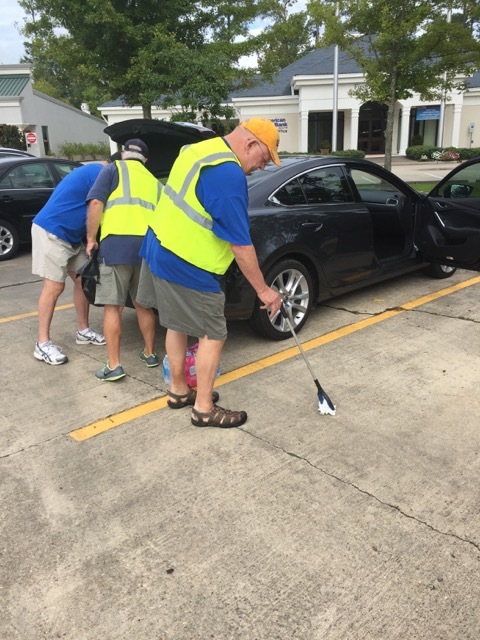 Keep Mandeville Beautiful will provide all volunteers with safety vests, litter grabbers and bags. After the cleanup is over, volunteers are invited to the Mandeville Lakefront Gazebo for refreshments. Please note that although volunteers may sign up on April 8th without having pre-registered, KMB is requesting that you pre-register in order to determine what supplies are needed beforehand. For questions, please call: 985-624-3165. If you would like additional information on Keep Mandeville Beautiful, please see the following link: http://www.keepmandevillebeautiful.com/.